OrthoNebraska’s newest doctors will further strengthen our commitment to provide the community with accessible, high quality and cost-effective orthopaedic care. Dr. Jeffrey Ebel is a primary care sports medicine physician with expertise in non-operative management of orthopaedic injuries and concussions. It is the first time a primary care physician has joined the OrthoNebraska team. 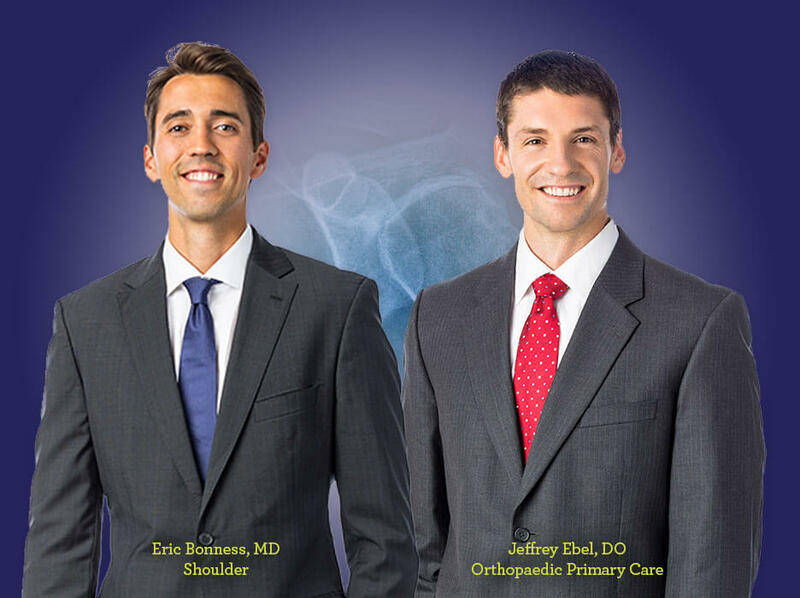 Dr. Eric Bonness is an orthopaedic surgeon who specializes in shoulder conditions. Dr. Bonness will see patients in Bellevue, Council Bluffs and Omaha. Both will work closely with the hospital and other orthopaedic and sports medicine doctors to offer specialized services to patients suffering from all types of injuries.